Enjoy Affordable Dental Services Today! 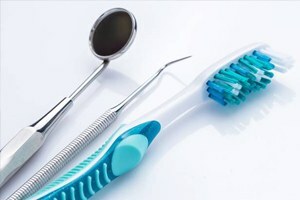 You know you are supposed to visit your dentist twice a year for a cleaning and checkup; however, you are among the one-third of adults who do not schedule an appointment every 6 months. It is natural to be concerned about a large bill, but you have nothing to fear. Your dental insurance allows you to get the services you need for reduced rates. As a United Concordia dentist in Castle Shannon, we help you maximize the value of your policy to lower your dental expenses. Now, you can get the routine treatments you need while lowering your long-term costs for care. United Concordia is a leading provider for comprehensive dental coverage. You have access to a nationwide network of dental professionals by paying your monthly premiums. You will enjoy the high-quality, affordable care you need to maintain your oral health. United Concordia believes your oral health is the gateway to your general health, which is why they provide comprehensive dental plans to make it easy and affordable to see your dentist. With routine care, you keep your teeth and gums healthy to decrease your overall dental expenses. You can save as much as $8 to $50 on restorative and emergency services for every $1 you spend on prevention. 80% coverage for immediate restorative services. 50% coverage for major restorative services. 80% coverage for general anesthesia. United Concordia recommends you visit a dentist who is in their network, like Dr. Colleen Cain. She has pre-negotiated rates with the insurance carrier to reduce the amount you need to pay out-of-pocket. Our office helps you maximize your benefits to keep your treatments affordable even if that means splitting treatment costs across calendar years to accommodate your annual limits. While it is often best to visit a dentist who is in-network, you can still see one that is outside of your coverage. We work with both in-network and out-of-network patients to keep your treatments affordable. 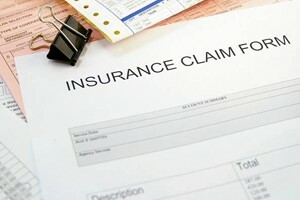 Dental insurance can be confusing, which is a leading reason people avoid using their coverage. If you do not understand how you can use your benefits, it is easy to put your care on hold because of fearing a large bill. We do not want anything to stand in your way of getting a healthy smile. Mona is here to help you understand your coverage and how it can be used to promote your oral health. 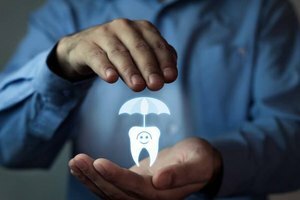 Supported by years of experience in the dental field, she works on your behalf with your insurance company to file the necessary claims and paperwork. Mona will maximize the value of your policy to reduce the amount you need to pay. If there is a time when your treatments exceed your coverage, she explains your payment options. You can get the high-quality, affordable care you need with your United Concordia dentist. Contact our office today to schedule an appointment.